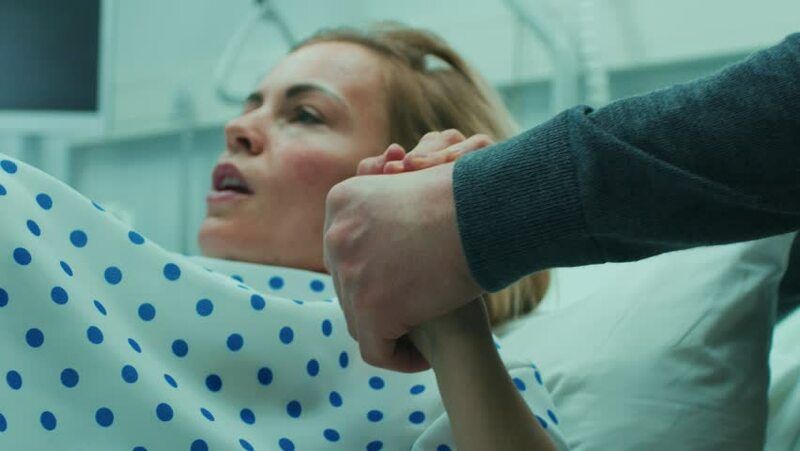 Close-up on a Face of a Woman in Labor Pushing Hard to Give Birth, Obstetricians Assisting, Spouse Holds Her Hand. Modern Maternity Hospital with Professional Midwives. Shot on RED EPIC-W 8K Camera.